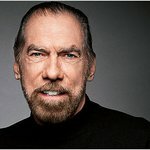 John Paul DeJoria is a billionaire businessman and philanthropist best known as a co-founder of the Paul Mitchell line of hair products and The Patrón Spirits Company. 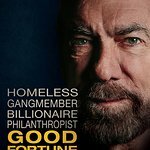 In 2008, DeJoria traveled to sub-Saharan Africa to join Nelson Mandela in his efforts to help feed over 17,000 orphaned children through Food4Africa. Google trends for "John Paul DeJoria"